This blog post is part of a five-part series, in which Diane E. Meier, MD, interviews the inspiring keynote speakers of CAPC National Seminar 2018. In this post, Dr. Meier is joined by Elisabeth Rosenthal, MD, author of An American Sickness: How Healthcare Became Big Business and How You Can Take It Back—a shocking exposé of America’s health care system. This interview provides a sneak peek into Dr. Rosenthal’s keynote, ‘How Patients and Families Pay the Price for Our Broken Health Care System’. 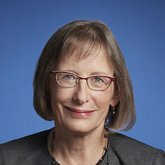 Dr. Diane E. Meier (DEM): Thank you, Dr. Rosenthal, for agreeing to give a plenary at CAPC Seminar and for participating in this interview with us. Let me begin with a question that connects your book to the work of caring for people with serious illness—the palliative care patient population. How is the way that we pay for health care in the United States particularly catastrophic for patients and families, but especially those living with the burdens of complex and serious illness? Dr. Elisabeth Rosenthal (ER): What I’ve seen in the twenty-five to thirty years that I’ve been in medicine, or even since being a medical journalist, is the infusion of financial considerations and finance values into the world of medicine. When I first began my career, it was about what was right for the patient, and what was best for their care; over time finance took the front seat, making medical values shift to the back. When I first began my career, it was about what was right for the patient, and what was best for their care; over time finance took the front seat, making medical values shift to the back. Now we see, especially for people with complex diseases, that care is increasingly evaluated on business principles. Questions such as, ‘Is there a return on investment (ROI)?’, ‘Is it efficient, and cost effective in terms of dollars and cents?’ are top of mind. Health care values are almost missing from the picture altogether, when helping people should be the focus; instead it’s about the ROI, and whether or not a specific type of care leaves a positive balance sheet. This is very risky, as increasing ROI may involve care that is not best for the patient, and the best care for the patient may not have a strong ROI. While the world of medicine that I originally entered certainly had its inefficiencies, at present the pendulum has swung way too far in the other direction. Now it’s all about efficiency and what’s best for profit, and patient care often suffers. While the world of medicine that I originally entered certainly had its inefficiencies, the pendulum has swung way too far in the other direction. Now it’s all about efficiency and what’s best for profit, and patient care often suffers. An example that stands out to me is today’s ambulance system, which has experienced an evolution of its own. In the fifties, transportation to the hospital was often provided by morticians, as they had large vehicles. Over time, volunteer ambulance companies emerged with local community volunteers. While this used to be considered a community service, in the nineties, the same companies slowly converted into for-profit businesses and billed insurance. From there, outside investors started to back and then own ambulance companies, and began balance billing patients after taking insurance payments. Fast forward to present day, where venture capital-owned ambulance companies bill the insurer, charging base fees, add-ons (e.g., oxygen), and service fees for professionals and volunteers in the vehicle. It’s not uncommon for patients to see ambulance bills that are upwards of two to three thousand dollars. Even worse, there are instances when the ambulance company and insurer do not agree on a reasonable fee, consequently labeling the ambulance ride as an “out of network” service, to be fully paid for by the patient, after the fact. DEM: What can frontline clinicians realistically do to either warn or protect their patients from some of the financial consequences of needing health care? When doing research for my book, one thing that struck me is that physicians, nurses, and frontline clinicians often feel, as much as patients, that they are helpless victims of the health care system. They don’t like it and don’t approve of it, but they also feel like they do not have power to do anything about it. This ‘what can I do’ attitude has to change—while just one person won’t change it, change will be made if everyone, especially clinicians, push back collectively. We cannot accept the status quo, just because it may be good for our bottom line. We all have to be searching for, and keeping our eye on, the area where what’s good for business intersects with what’s good for health care and the patient. There is a small intersection where we should all be operating. We have to find that, and fight for it, wherever we sit. There will be pressure, but if multiple people push back to advocate on behalf of the needs of patients, change can be made. This ‘what can I do’ attitude has to change—while just one person won’t change it, change will be made if everyone, especially clinicians, push back collectively. DEM: Where do you think the change is going to come from? What is it going to take for the American people to turn this helplessness, hopelessness, and victimization into a political force for change? ER: One of the reasons that I wrote my book was for patients and physicians to realize that they do have power, that they should be rising up. I’m hopeful that a ‘we the patients’ movement will arise, to state that we’re not going to take this anymore. I also hope that we’ll see health care voters rise up, saying that we don’t like this stressful, complicated, patient-unfriendly system. In this current political moment, we see that health care on the state level is a big issue. There’s consciousness rising, which I hope will grow into a national patient movement. One factor that may cause the movement is that people are increasingly stuck with huge bills while or after receiving health care. They’re realizing that, between deductibles, co-pays and “balance billing”, insurance no longer covers what it used to, and crazy charges are common. American families spend a significant and growing portion of their incomes on health care, and people are waking up to it. That, and the fact that this system is finance and profit driven, and is no longer looking out for the best interests of patients the way it should. American families spend a significant and growing portion of their incomes on health care, and people are waking up to it. DEM: It’ll be interesting, because the election will be just before your talk. We’ll have a signal as to whether or not the American people are waking up to the power of their vote. ER: We all tend to look to Washington, but there is a lot happening at the local level, in state houses; there is legislative and regulatory action to address these issues. State legislatures are more sensitive to their constituents and closer to the ground, so we see a lot of efforts to prevent surprise billing and ensure network adequacy laws. We’re also seeing more pressure for accountability. These are all baby steps, but collectively it indicates a change of consciousness, and a sense of “we’re not going to take it anymore”, which is exactly what we need. DEM: How did you get into your line of work, from physician to editor-in-chief of Kaiser Health News? ER: I trained as a physician, and worked in an emergency room in New York City in the nineties. I always did a lot of writing on the side, sometimes freelance for The New York Times. With the Clinton health care reform effort in the early nineties, the Times asked me to join as staff to write about it. At the time, most of the people that I knew had jobs with employer-based insurance, or Medicare, and were doing okay with their health care. However, the patients I saw in the ER often weren’t doing okay; they were underinsured, or uninsured altogether. So, I decided that this would be a good change for a year, until the health care reform effort passed, and then I would go back to being a doctor. Though the legislation never passed, I was hooked on journalism, and the intensity of writing about these large, systematic problems—and I never went back to practicing medicine. It’s been twenty years, and I’m looking at some of the same issues. But now, the cost, accessibility, quality, and humanity issues in health care are not just affecting people who are under-insured, uninsured, or poor—they’re affecting all of us. The problems are the same, but the magnitude of their impact is much bigger. Did you enjoy this interview? 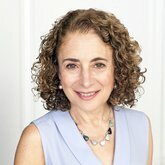 Attendees of CAPC National Seminar 2018 can download r. Elisabeth Rosenthal’s keynote, ‘How Patients and Families Pay the Price for Our Broken Health Care System’.